Two major factors threaten the well-being of Cuyahoga County: the approaching build-out of its outer suburbs, which will severely limit tax-base growth through new construction, and the aged condition of inner suburbs, which jeopardizes property values. 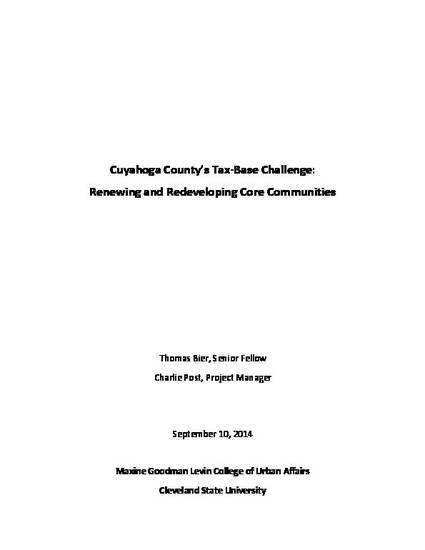 The situation calls for unprecedented cooperative action among elected officials to secure the county’s future. Recent changes in the value of real estate in Cuyahoga County compared with adjacent counties shows the seriousness of the situation and the criticality of the primary course of action: redevelopment and renewal in Cleveland and inner suburbs.